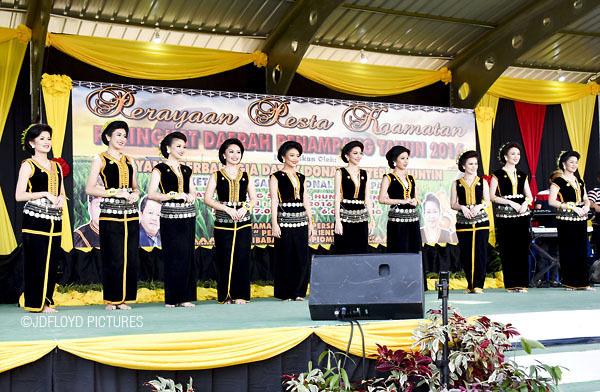 Held - for the first time - outside the confined space of Tun Fuad Hall or Penampang Cultural Centre, this year's district-level festival venue was Padang Siol, Kg Hungab here. She reacts to a 'lifeline' offered by the cheering crowd during the Question & Answer session. Eventual winner Sherry waits anxiously with the runner-ups. Sherry Anne is congratulated by the 2015 UNK. Happy moment for the fair ladies! Sherry Anne is the younger sister of former Penampang Unduk Ngadau (UNK 2012), Samantha Sharon Laujang. You can see her winning moment here or at JDfloydPictures. 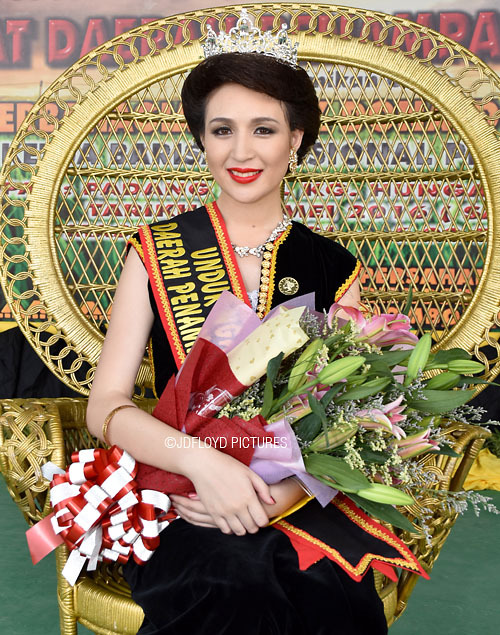 Samantha Sharon Laujang, the 2012 Penampang UNK. -- Do you think they look alike? She will be representing Penampang district in the state-level Unduk Ngadau Kaamatan at Hongkod Koisaan KDCA, Jln PEnampang on 30-31 May 2016. Hi bro, long time no 'see' haha. Lots of nice pictures. And when I say nice, yes, I meant that all the sumandaks look nice. But I do like sharp pictures also haha.